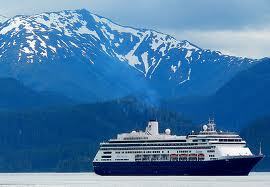 You want to get married in Seattle before you board the ship for your cruise to Alaska! Each year, thousands of people board cruise boats in Seattle and take a beautiful one or two week voyage through Alaska’s inside package. And also each year, many couples get married in Seattle before they take their cruise. Just think of this as a wedding 2-for-1 deal! 1) Best Hotel Location is Downtown Seattle: Most cruises to Alaska leave from the Seattle waterfront which is a few blocks away from all parts of downtown Seattle. To make things easy, stay at a hotel in downtown Seattle and taking a cab to the cruise terminal. You may decide to be married at your hotel or perhaps take advantage of some of the wonderful waterfront venues available in the Seattle area for a sweet outdoor wedding ceremony: Alki Beach, Magnolia Bluff, Hamilton Viewpoint Park or perhaps the Kirkland Waterfront, to name a few. 3) Find Someone To Marry You! You will need to locate and secure a Judge, Minister or Officiant/Celebrant to marry you! You can do an internet search for Seattle for a short list of possibilities and contact each wedding professional to determine their availability, fees and if their style of ceremony resonates with you. Weekends book fast for Officiants so make contact early and insure you have a signed contract/agreement for a specific date/time so there is no misunderstanding on either end. 4) Pre-Cruise Department Celebration Dinner: If you are being married the day before your cruise ship leaves Seattle, you may want to make a reservation at a restaurant in downtown Seattle or nearby for your celebration dinner. There are so many wonderful “celebration restaurants” in Seattle for such an event. Ask your Hotel concierge for recommendations (make your dinner reservation before arriving in Seattle) or your Officiant may be able to recommend some favorite dining places to celebrate your wedding day!